Willughbeia grows in the rainforests of Borneo. Though it is not known much outside its native region, yet it has quite unique features. 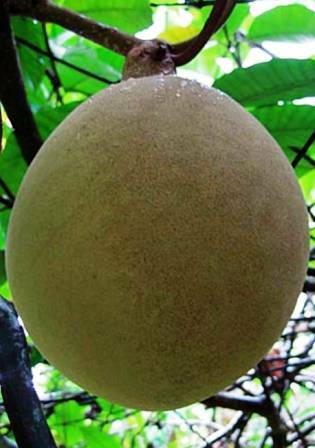 It bears tasty edible fruits which can at times be as large as 1 kg. A giant climber climbing trees in the forests. 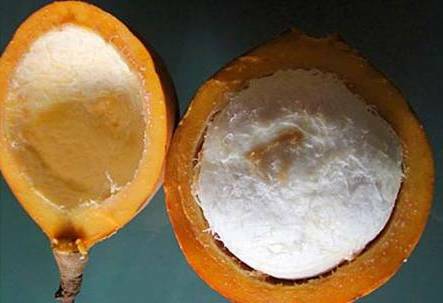 Fruits large, upto 1 kg, brown, pulp creamy white, sweet tart, taste very good. Willughbeia fruits are very delicious and are eaten fresh. These are very sweet and the taste can be compared to sweet tart candies. These are also offered for sale in small town markets of Borneo. Willughbeia is propagated from seed. The vines, when grown in field, will certainly require support for growth. Willughbeia should be promoted for domestication.